I'm always on the lookout for new hand soaps to try. Softsoap just really doesn't seem to cut it in my book! And while Jaqua tends to make my soaps of choice (click here for my account on how fabulous they are), I am definitely aware that there are other amazing versions out there. So when I came across Sweet Grass Farm Liquid Soap, I simply had to give it a try. And you know what? I am so, so glad I did. This stuff is seriously fabulous for so many reasons! Not only does it smell absolutely amazing (my fave scent is definitely Lavender), but it moisturizes and conditions my parched and winter-ravaged skin to the point of utter unbelievableness. Formulated with natural glycerin and tons of vitamins, it really does work to keep skin soft and smooth. Sweet Grass Farm even claims it can be used as a body wash or shampoo! And while I've so far only tried it as a soap, I can definitely see how this could be true. Each scent is utterly refreshing and fragrant. And with the onset of winter, it's nice to have some summerness in the bathroom! 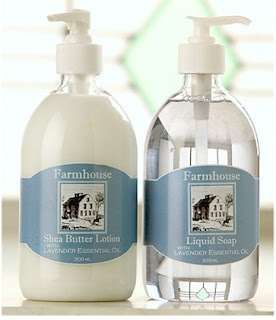 Sweet Grass Farm Liquid Soap retails for $8.95 at sweetgrassonline.com.